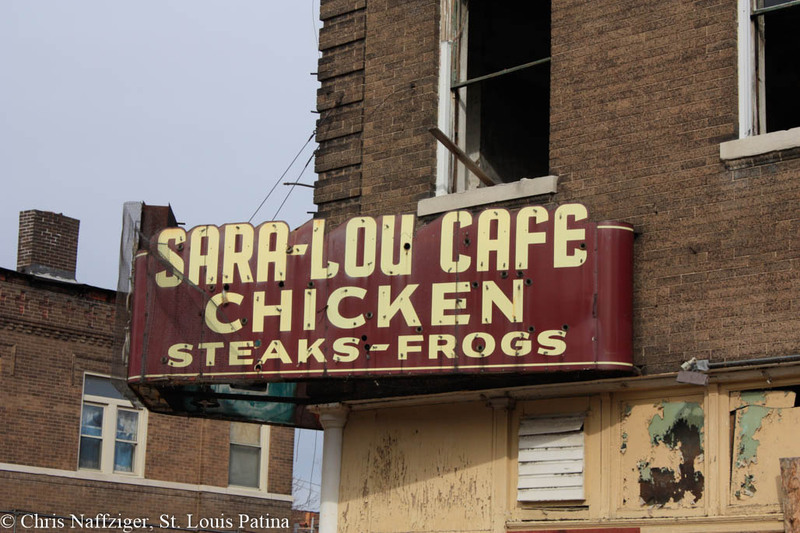 For the past sixty years of St. Louis history, the Northside has remained the most misunderstood, stereotyped and neglected section of the city. And a large segment of the city it is; if one considers the cliche boundary of Delmar to be the southern border, the northern portion of the city dwarfs the southern half. While many neighborhoods do suffer from severe abandonment, crime and despair, there are many shining examples that are stable, diverse and improving. Often the image on the nightly news portrays the area as a giant maelstrom of violence, erupting at any moment; the reality is that much of the Northside is tranquil vacant lots and volunteer forests, the city having slipped away and disappeared in many places. There is hardly any crime where no one lives. 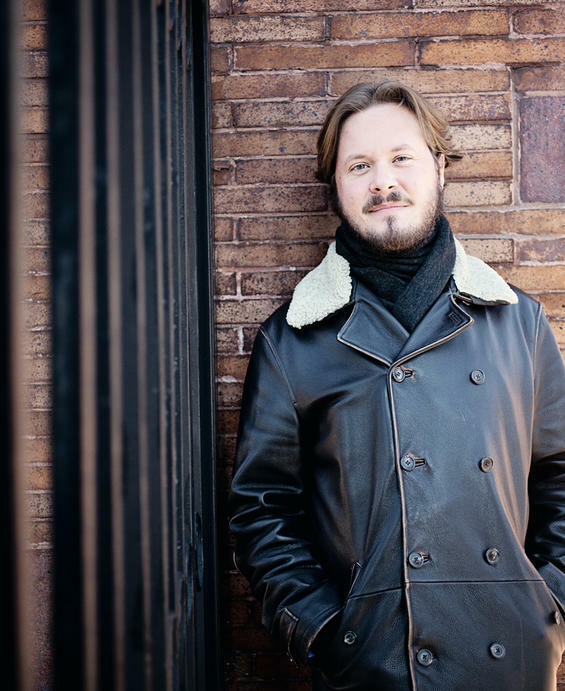 The future of the entire city cannot ignore the neighborhoods in the north, and what becomes of them, and their historic built environment, will help determine whether the city continues to struggle or rebound. 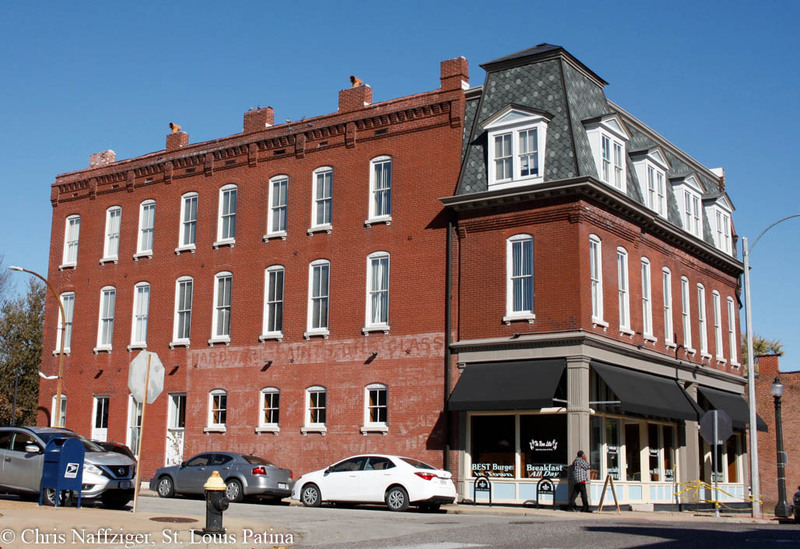 While much of the historic fabric of Old North St. Louis is gone, what is left of what was once an independent town is being rehabbed, and the recently renovated Fourteenth Street Mall is ready for new tenants. 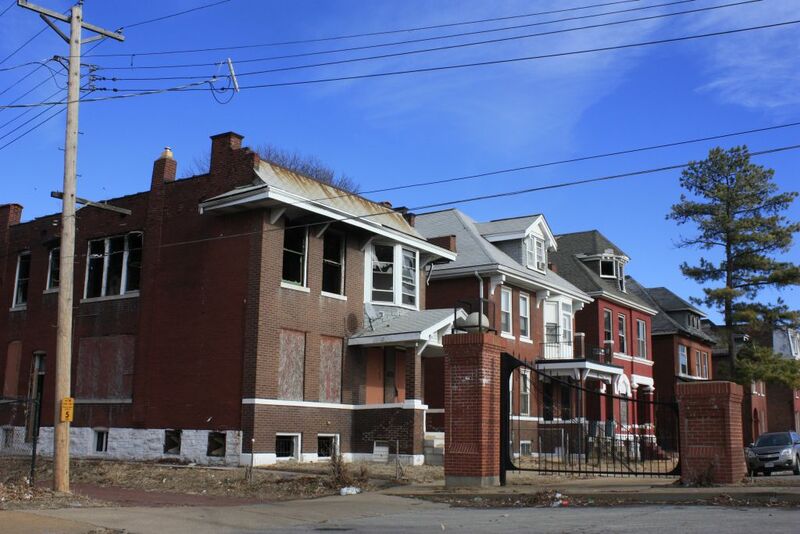 This neighborhood has been devastated by abandonment and brick theft, and in some portions, entire city blocks, once teaming with life, have been completely demolished. But hope remains, and some streets are remarkably well preserved. Historically known as the Yeatman neighborhood, JeffVanderLou’s name was the product of urban planners in the 1960’s. The area is large, often densely settled, but just as often severely depleted of structures and increasingly falling victim to neglect and brick theft. Once one of the most densely settled sectors of the city in the Nineteenth Century, the Near North side has fallen victim to urban renewal and disinvestment, which has swept away much of the buildings once in this area. Meanwhile, large warehouses have moved into the area, further separating the Northside from downtown. Rarely visited by most St. Louisans, and often forgotten, the Near North Riverfront features giant warehouses, small storefronts, and the massive landmark Ashley Street Power Plant. 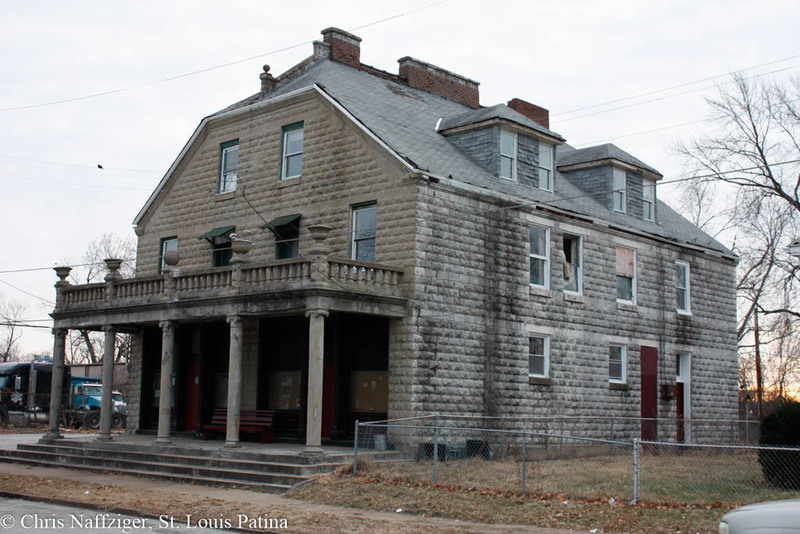 Once the independent town of Bremen, Hyde Park is perhaps the most intact Nineteenth Century neighborhood in North St. Louis east of Grand. Rehabilitation has begun, but will it be in time to save this area? Before the 1960’s, the Fountain Park neighborhood was really part of the West End, filled with grand mansions and private streets. Segregation drew an arbitrary line at Delmar, and the resulting split changed the destiny of this neighborhood for the last fifty years. 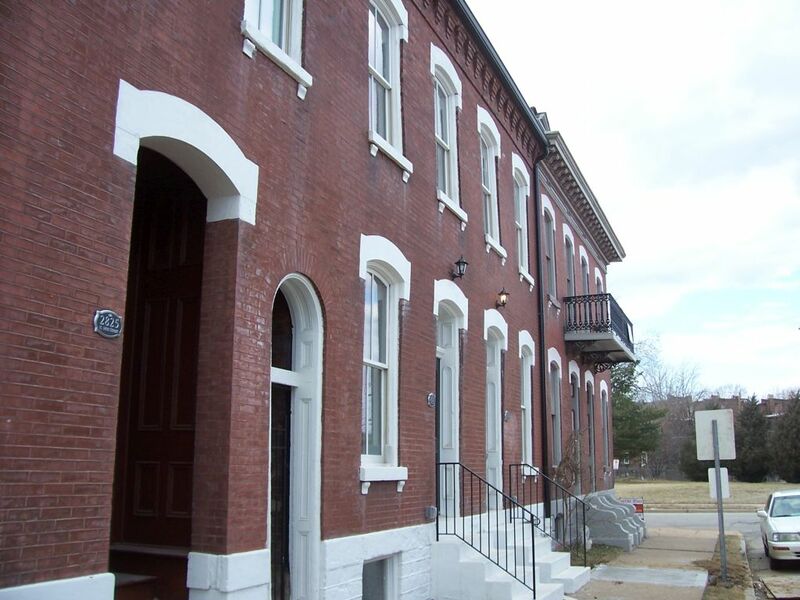 The Lewis Place neighborhood takes its name from the private street that sits in the middle of the area, north of the Central West End, and like its neighborhood to the west, Fountain Park, was once a section of the northeastern part the greater West End, the center of the upper middle class and wealthy elite of St. Louis. 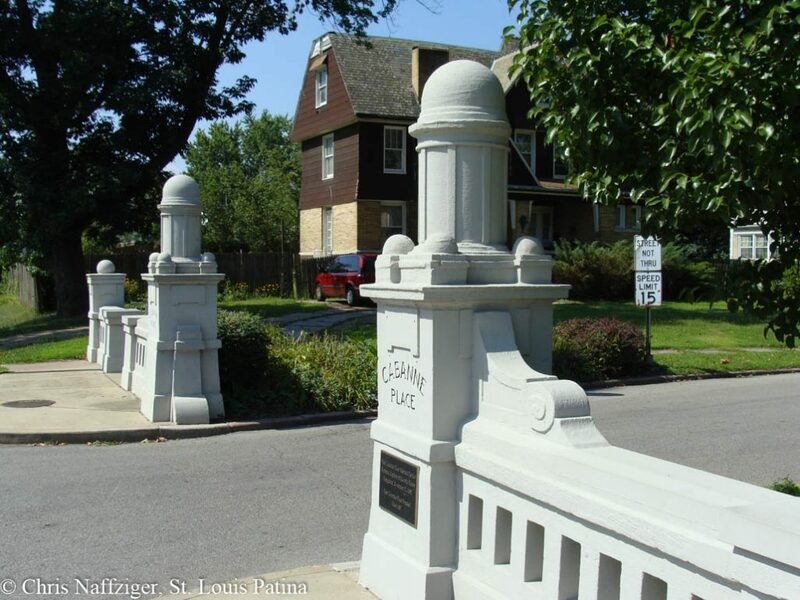 The Ville was long the center of the African American middle class in St. Louis, and of some the city’s most famous residents such as Chuck Berry lived in the neighborhood. Sadly, with middle class flight to the suburbs, the neighborhood has seen some hard times, but remains strong and hopeful for the future. 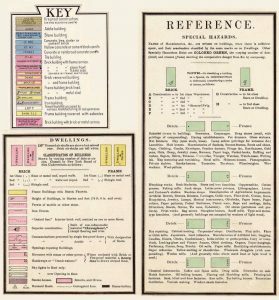 The Greater Ville wraps itself around the historic core of the Ville, and was the first part of the city opened to African Americans looking to buy homes after the landmark Shelley Vs. Kraemer Supreme Court case. The neighborhood of Fairgrounds seems to have developed slowly over many decades, as it features a wide variety of different architectural styles. This also includes any posts pertaining to the park of the same name. 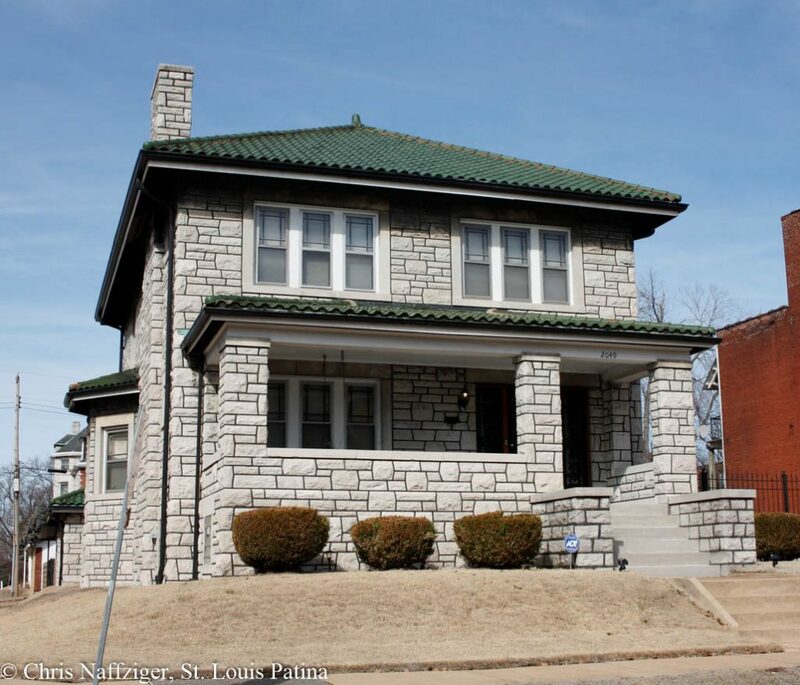 The College Hill neighborhood is tucked into a corner of the city, high on a hill that overlooks the river and surrounded by the interstate and O’Fallon Park. While O’Fallon is largely intact, the College Hill neighborhood has a feeling of remoteness, right in the middle of the city. The O’Fallon Park neighborhood is a rich and well-preserved of stately homes built on the blocks around the eponymous park. This is where many members of the African American middle class moved in the 1960s and 70s, making the area strong and stable. Dominated by industry, the Far North Riverfront has few residents, but is full of trucking depots, railroad trestles and the occasional house. Its main artery is Hall Street, which stretches the length of the area. Not to be confused with the more famous Central West End, the West End was once home to some of the wealthiest citizens of the city. It faced decline in the past decades, and while much of the area has been devastated, there are gems such as the majestic Cabanne Place, just north of the Loop. A sense of sadness, isolation and abandonment typify much of the Wells-Goodfellow neighborhood. The city has ceased to exist on whole blocks, and trees and vegetation have taken over and strangled buildings of their life. Long a rural area of the city, its future is uncertain. Isolated in the bend of I-70, the Mark Twain/Penrose area has streets of well kept houses from all eras, and large swaths of abandonment and decay. Dominated by a large industrial park, the neighborhood was named after its local elementary school. 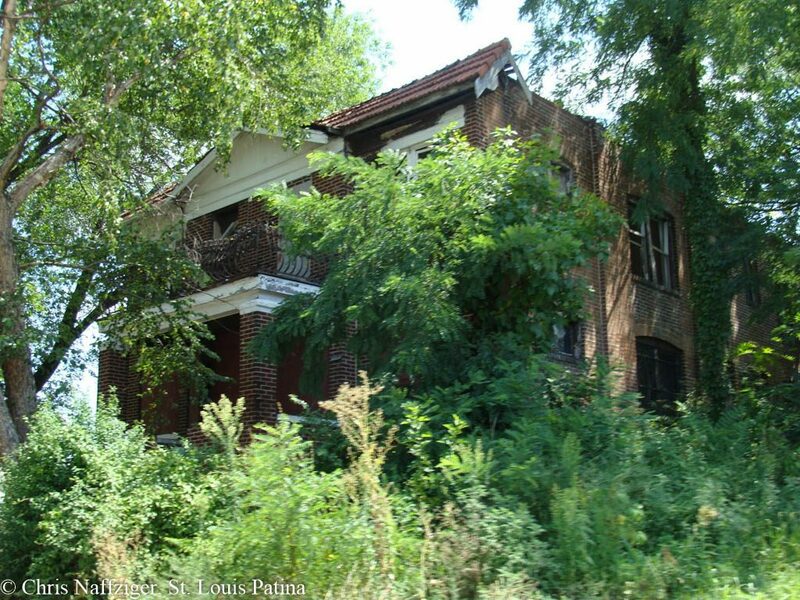 Separated from the rest of the city by the interstate, Walnut Park was long a stable neighborhood that has now seen some of the worst decay and crime in the city in the last decade. The architecture variety reflects its slow development over the last century. 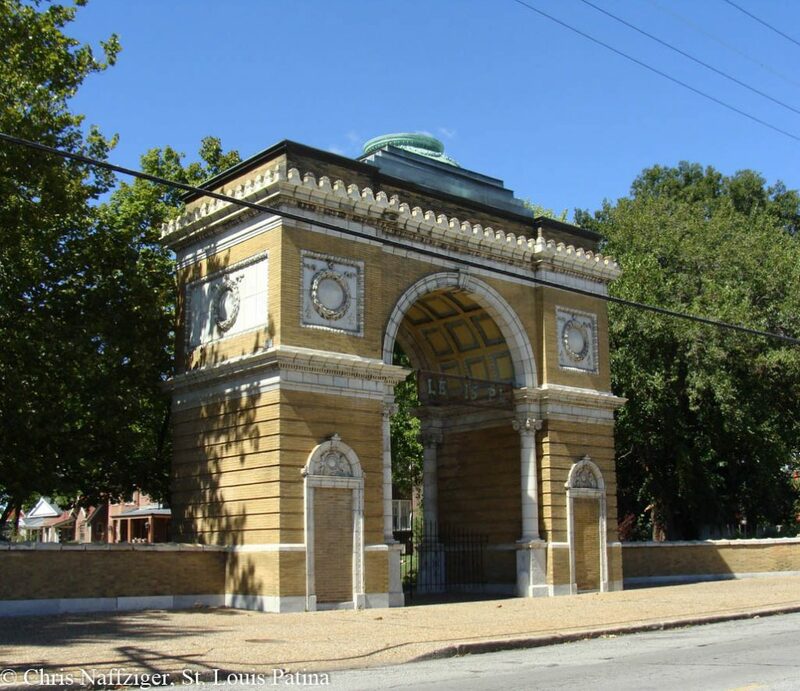 The gigantic Bellefontaine and Calvary Cemeteries, founded in the aftermath of the cholera epidemics of the mid-Nineteenth Century, feature some of the most distinctive buildings in the city. Greek Revival mausolea sit next to sphinxes and the Louis Sullivan masterpiece of the Wainwright Tomb. Baden, beyond the railroad tracks, is further from downtown St. Louis than Clayton, but it retains a character all of its own. While many of the original inhabitants who founded the once independent town are gone, the lively commercial strip along North Broadway remains. I grew up in Walnut Park, went to St Adalbert’s School. It was a great place to be a kid, lots of good neighbors, leafy streets to walk, and some parks to play in. Nobody had much money, but there were no burnt-out houses, overgrown yards, smashed windows or abandoned cars. Certainly no murder victims. I hate to see what happened to my neighborhood. Makes me ill. In the 60s I lived in walnut park, went to Walbridge. I guess it was lower middle class and definitely all white. I thought the teachers were dedicated and the neighborhood was great for kids. A lot of the guys acted tough and said hateful things. With blockbusting, all the families were gone in no time. Still, good memories of my old neighborhood. Thanks for sharing, Hans. A lot of these memories–oral history, actually–is in danger of being lost. I’m always happy when people tell me their stories. Morning sir my Name is Jermel Higgins and I’m very interested in more historical information from a resident point of view. CUPPLES MATCHES, specifically, is what I’ve been searching for. An old warehouse-type building was located near 4409 N. Second Street–in St. Louis in the 1960s–which said CUPPLES on the west side of the building. The east side of this building faced the Mississippi. Here’s my question. Was this one of the buildings that belonged to Samuel Cupples? Thanks, for your response. That’s a tough one, Kathy! I can’t find any record of that building, and it seems like it post-dates the famous Samuel Cupples’ lifetime. Do you have a photo of the building? Hi Chris, I had read an article a while back about a house on Blair Ave by the Red Water Tower was a historical house that supposedly belonged to a mayor back in the 1800’s. The house had caught fire and suppose to have had slaves. Do you know any of that to be a fact? I grew up around that tower in the sixty’s. Michele, I suspect you might be talking about the Bissell Mansion, which is now a dinner theater. The Red Water Tower wasn’t built until after the Civil War (which of course doesn’t mean that a house belonging to a mayor didn’t exist near where it would be one day). The area around the future Red Water Tower was pretty rural before the Civil War. I do not know if the Bissells owned slaves or not.